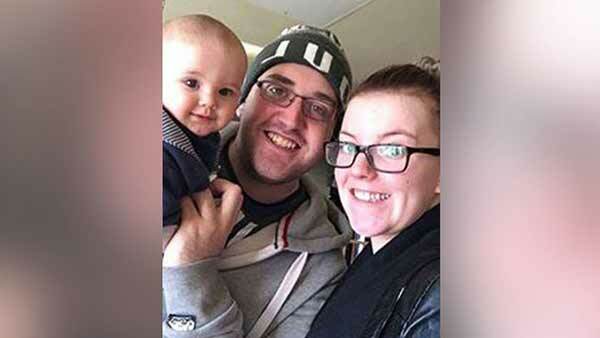 A U.K. dad's advice to fellow dads "respect the mother of your child" has gone viral after being posted in a Facebook tribute to the mother of his 9-month-old son. Tony Emms, of Cresswell Northumberland, in the U.K., posted on Facebook last month a photo of his fiance, Charlotte Sperry, sleeping next to the couple's 9-month-old son. Along with the photo, Emms included a long description of all the things he says Sperry does for their child and household. Emms' Facebook post has since been liked more than 42,000 times and shared more than 14,000 times. "I think my post had the reaction it did because it made other people realize just what mothers do," Emms told ABC News by email. Emms said his job schedule is such that he spends more time at home in the winter, and that being home with his family put Sperry's role into perspective. "Having done this [staying home] it reflected to me just how much my partner has to do during the day," Emms told ABC News. "I literally posted the status just as my way of apologizing and making it aware to any other daddy's on my friends list just how much mummies do."